HugWraps™ Receives 2016 Models of Courage Award! When you shop @AmazonSmile, Amazon will make a donation to Hug Wraps A Nj Nonprofit Corporation. HugWraps™ was featured on the Hallmark Channel’s Home and Family show! Brenda Jones could never have imagined that her diagnosis of breast cancer in 2008, would not only transform her life and her personal healing journey but also touch the lives of cancer patients around the world. After realizing that traditional hospital gowns left her feeling like a victim, she knew that she needed to wear something LOUDER than cancer. Something warm, comfortable, fun and colorful. 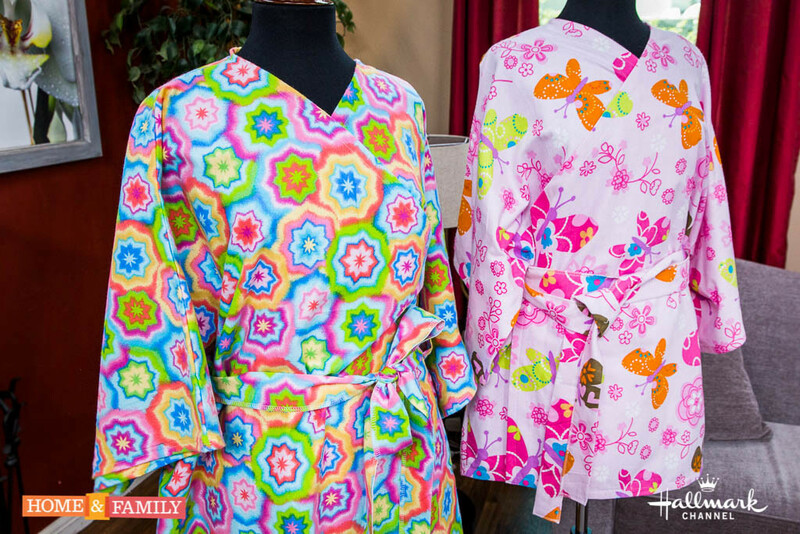 After her first Radiation treatment she bought a used sewing machine and a friend taught her to sew and together they made the first Hug Wraps®. When she wore her Hug Wraps® to her next treatment, she turned heads in the hospital! Brenda started making Hug Wraps® for other cancer patients young and old and to date has made over 600 wraps, mailing them all over the US, Canada, England, and Poland.